These simple rustic rissoles are packed with moisture and flavour from spinach and feta. They’re the perfect little parcels of joy to be savoured with a simple Greek-style pita salad and a herbed mayonnaise. Preheat the oven to 200°C/180°C fan-forced. Slice the pita pockets (see ingredients list) into 2cm squares. Finely chop the garlic (see ingredients list). Pick and finely chop the parsley leaves. 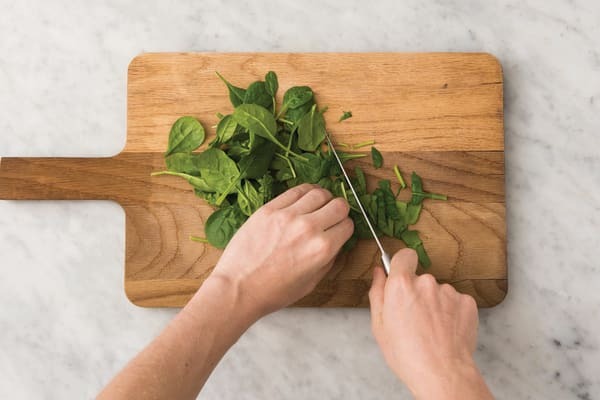 Finely chop 1/2 the baby spinach leaves (keep the remaining leaves whole). Finely chop the cucumber and tomato. Spread the pita squares over the oven tray lined with baking paper. Drizzle with olive oil and season with a generous pinch of salt and pepper. Toss to coat, arrange in a single layer and bake for 5 minutes, or until golden and crispy. 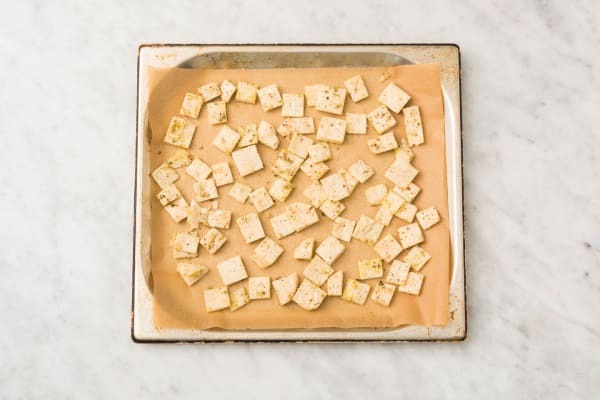 TIP: Baking the pita squares in a single layer ensures they get crisp and cook evenly. 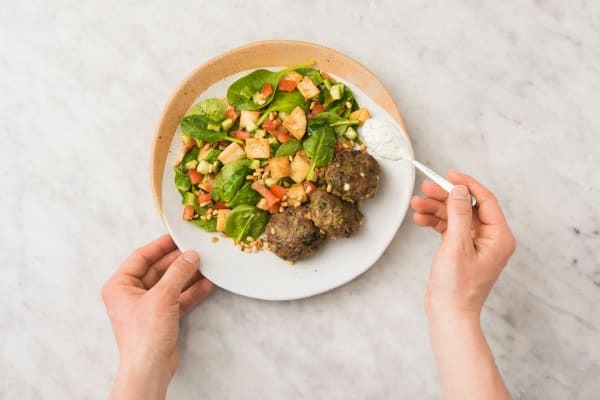 While the pita squares are baking, combine the lamb mince, egg, fine breadcrumbs, rustic herb spice blend, the salt, garlic, parsley and chopped baby spinach in a medium bowl. Crumble in the feta and mix well. 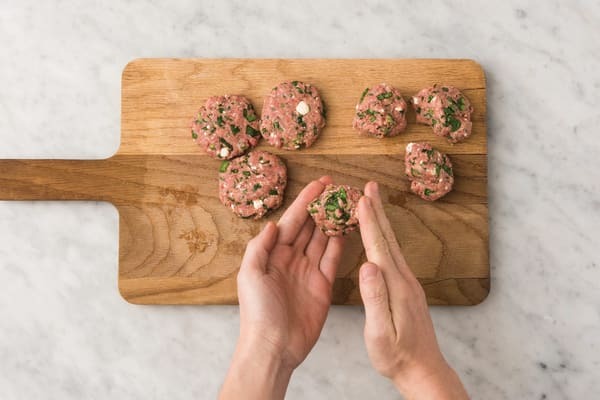 Using a spoon, form the lamb mixture into large meatballs and then flatten slightly to form 2cm thick rissoles. You should get 3-4 rissoles per person. Heat a large frying pan over a medium-high heat with a drizzle of olive oil. Add the rissoles and cook for 4-5 minutes on each side, or until browned and cooked through. 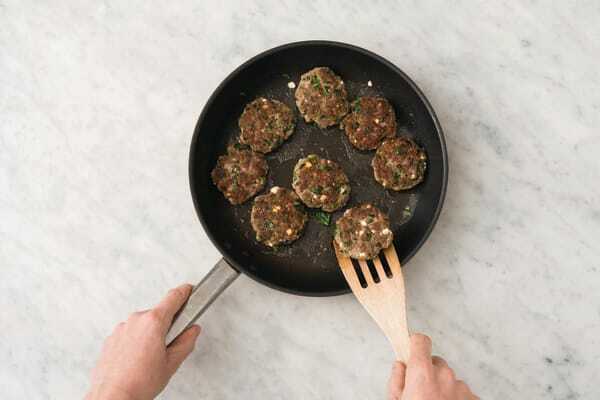 While the rissoles are cooking, combine the vinegar and olive oil (2 tsp for 2 people / 4 tsp for 4 people) in a medium bowl. Season with a pinch of salt and pepper and mix well. Add the cucumber, tomato, remaining baby spinach and the pita squares and toss to combine. 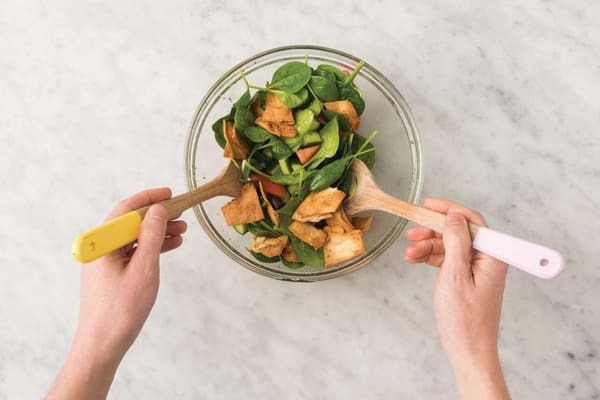 TIP: Toss the salad just before serving to keep the leaves and pita bread crisp. 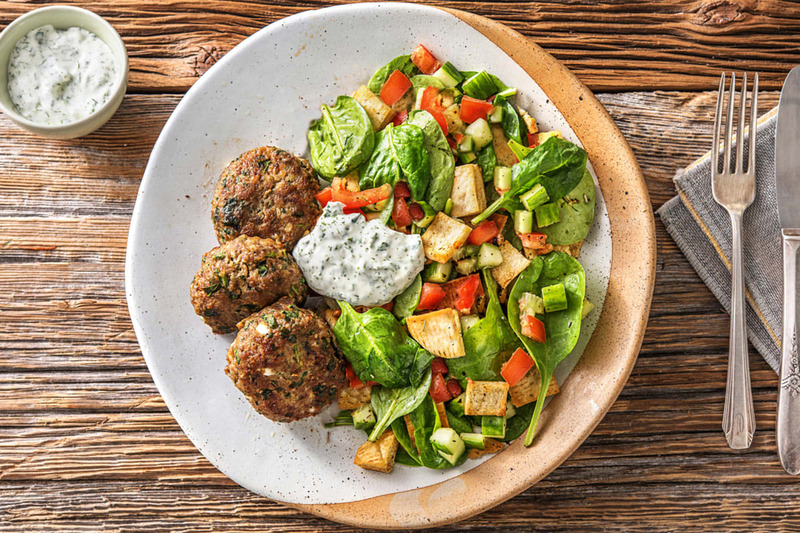 Divide the speedy lamb, spinach and feta rissoles and pita bread garden salad between plates. Serve with the dill & parsley mayonnaise.